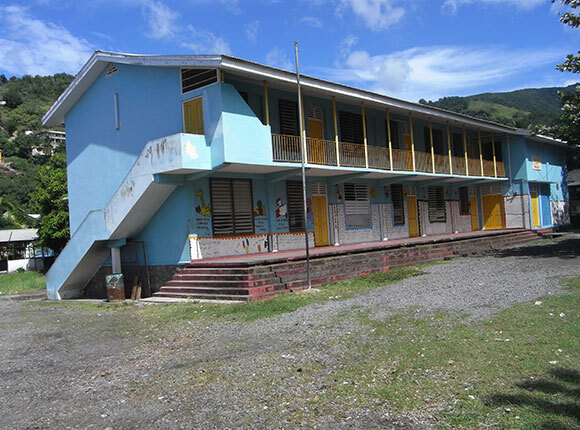 Colihaut is a coastal village on the West Coast of Dominica midway between the towns of Roseau and Portsmouth. The population of approximately 700 people earn a living through agriculture and fishing. Secondary school graduates work for government and the private sector in Roseau. Colihaut, although an attractive, historical village with very hospitable people, has not been placed and has not placed itself on the Dominican tourism map. The visitor attractions, which are many, are taken for granted by villagers and are little known to the rest of Dominica. Bann Mové is a carnival masquerade form practiced in Colihaut, a West Coast Village in Dominica in the Eastern Caribbean. A Bann Mové is a completely disguised masquerader who takes part the carnival street parade and perform dance routines to the beat of goat skin drums and flute.